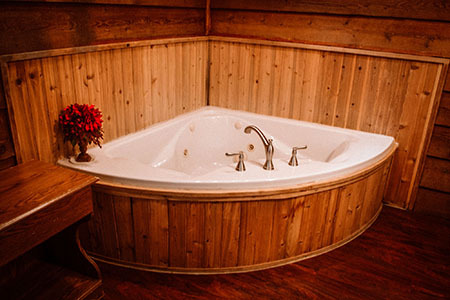 The Cedar House is sure to please. 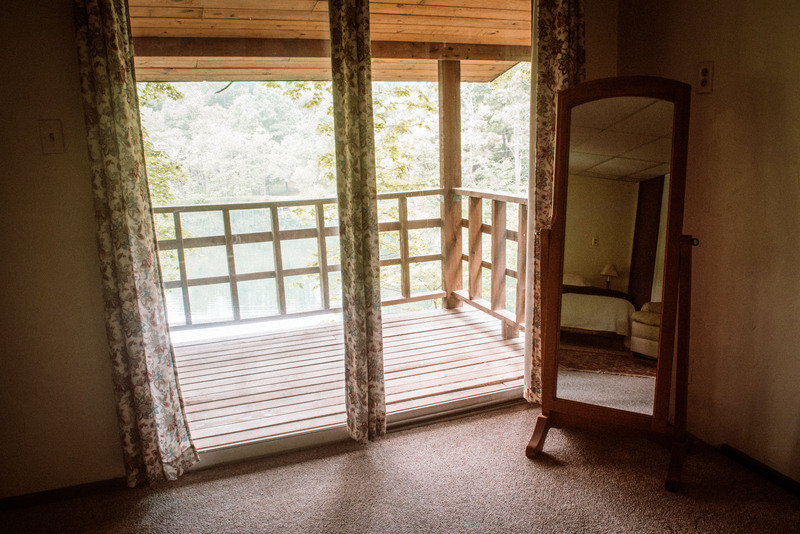 The upstairs of the Cedar House has a covered balcony with a porch swing and a beautiful view of the lake, which is 32 yards away. 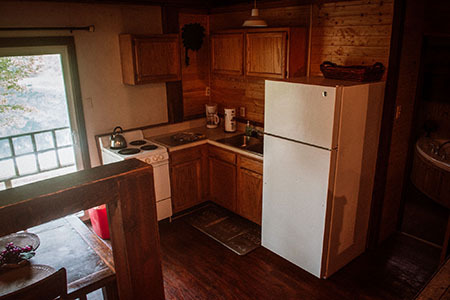 The Cedar Cabin can sleep up to six people. The large master bedroom has a queen-size bed along with a sitting area. 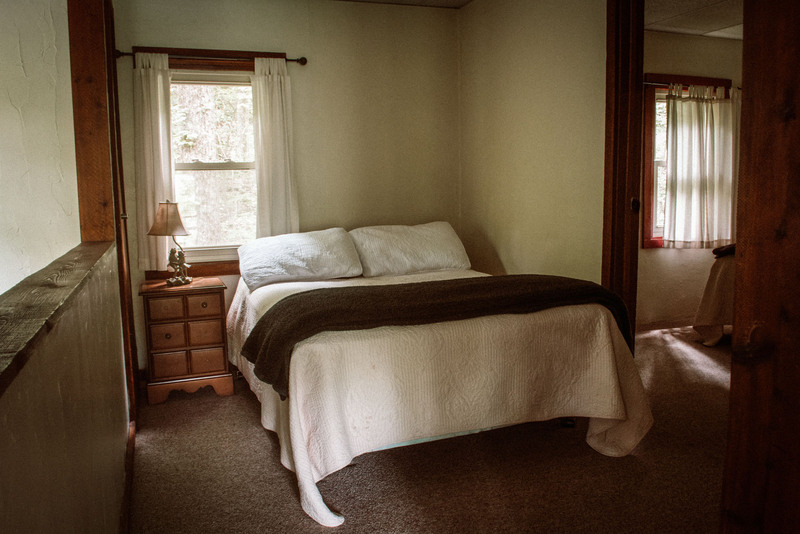 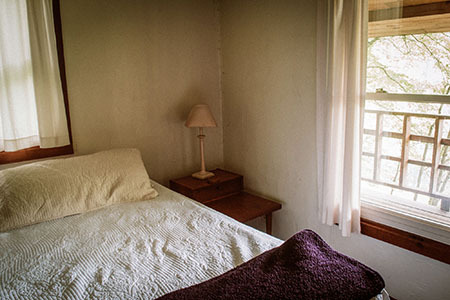 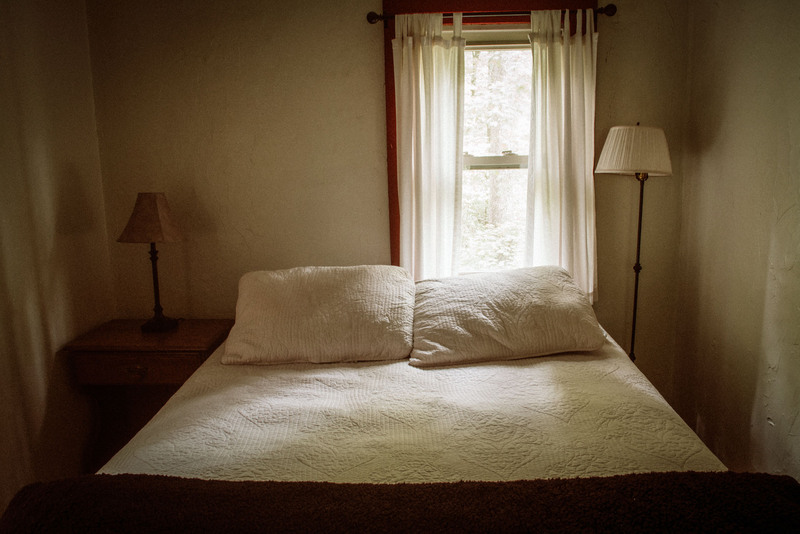 A walk-through room with a full-size bed leads into the back bedroom which has a queen-size bed. 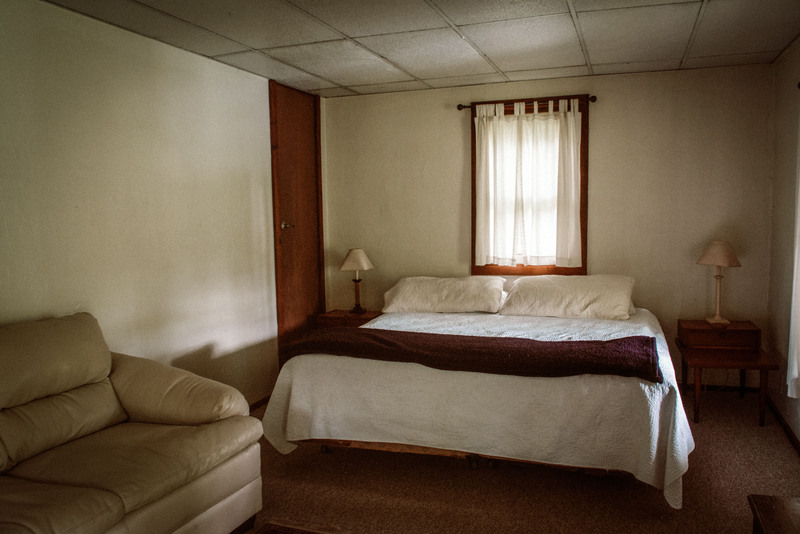 The upstairs is an open floor design, bedrooms are divided only by area. 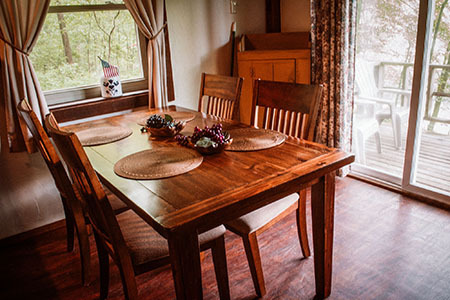 Great for large families or friends. Downstairs houses a very spacious living area and a fully stocked kitchen stepped down from the main living area. The bathroom has a separate shower and a two person Jacuzzi. 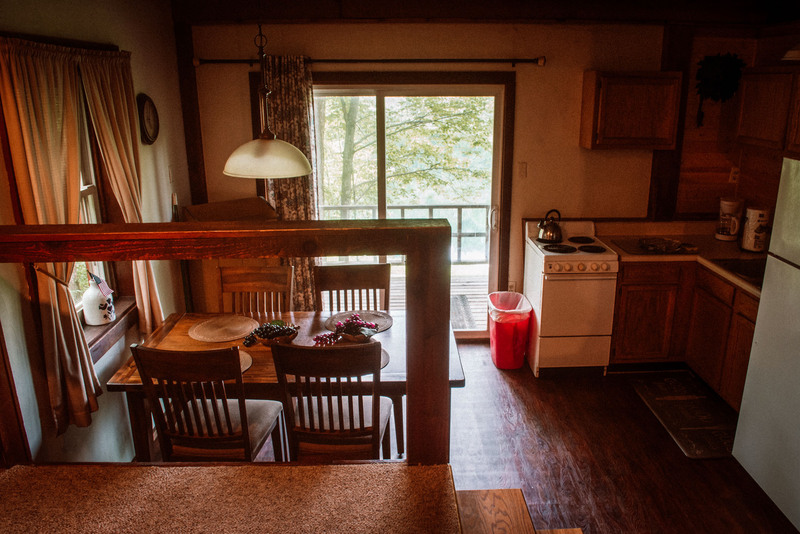 The kitchen has sliding glass doors that opens to the wrap-around deck, which houses the covered hot tub area. Not suited for toddlers or anyone who has difficulty with stairs. 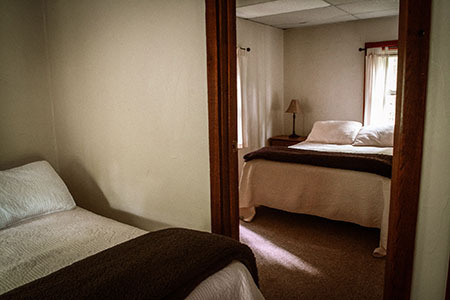 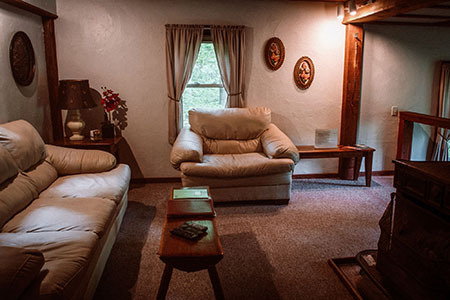 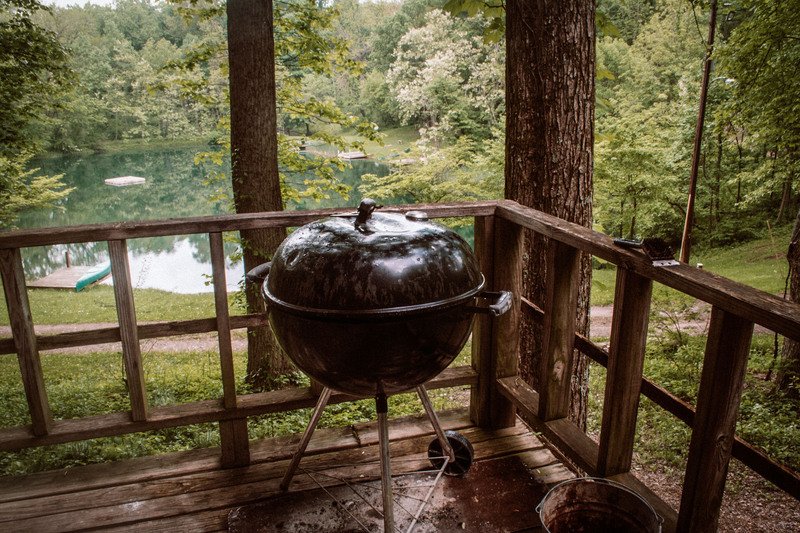 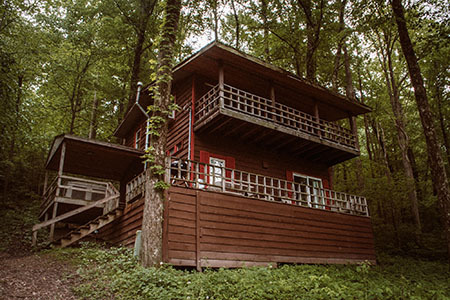 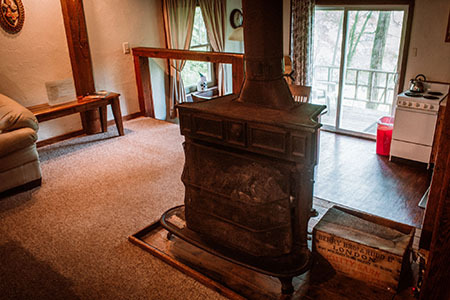 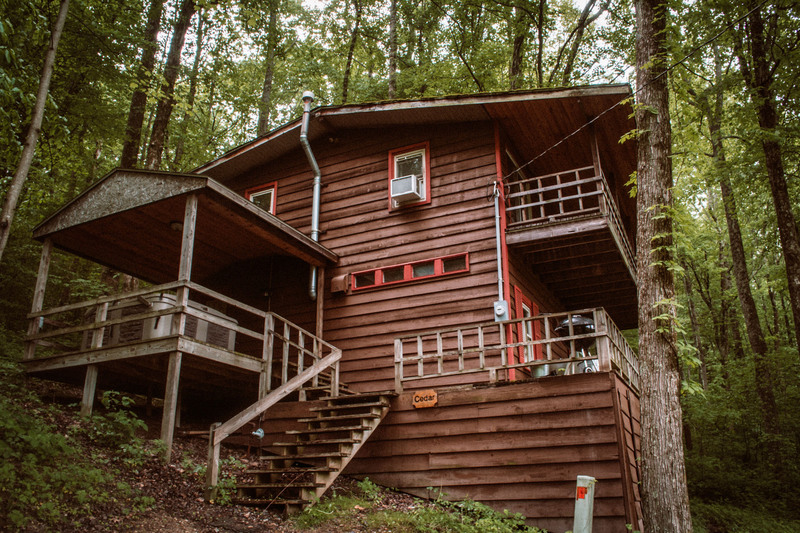 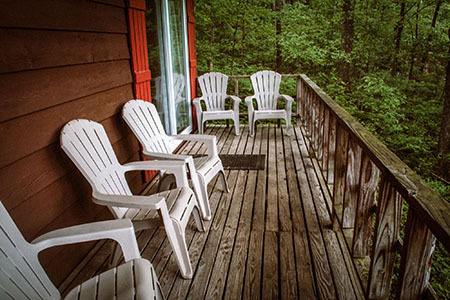 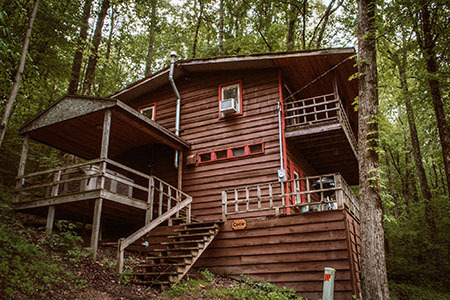 Weeknight pricing begins at $165 per night for the cabin with occupancy ranging from 2 - 6 with no additional per person fee.